China and Vietnam have outlined new steps to resolve their long-running territorial disputes in the South China Sea in an effort to avert further conflict and put their relations on a steadier footing for the future. Although both countries are ruled by Communist parties and share extensive land and sea borders, they have had a tense relationship. But they now face political challenges at home as their export-oriented economies and investment slow under the impact of global financial turmoil and deepening recession. They have evidently decided to give primacy to strengthening bilateral party, trade and investment ties to offset the wider economic downturn. The latest measures to improve relations emerged during the visit to China of Vietnam’s Prime Minister, Nguyen Tan Dung, from October 20-25. It was his first official visit as prime minister and came ahead of the Asia-Europe summit in Beijing. Mr. Dung held talks with his Chinese counterpart, Premier Wen Jiabao, and Chinese President Hu Jintao. A joint statement issued at the end of the visit said the two sides believed that “to expand and deepen the China-Vietnam comprehensive strategic partnership of cooperation in the context of the complex and changing international political and economic situation is in the fundamental interests of both countries, ruling parties and peoples and conducive to peace, stability and development of the region and the world” (Xinhua News Agency, October 25). Under the plan, Chinese and Vietnamese companies will be encouraged to form joint ventures and engage in large-scale projects in infrastructure construction, chemicals, transport, electricity supply, and home building. The aim of these projects, as well as the new road, rail and shipping connections, is to bond the neighboring provinces of southern China and northern Vietnam. This would be part of a growing network of highways linking China with Southeast Asia. The proposed expansion of economic ties will depend on progress in managing and eventually settling festering territorial disputes between China and Vietnam. Both sides reaffirmed that they would complete demarcation of their 1,350-kilometre land border by the end of this year, a deadline that was set in 1999. What was new in the joint statement was an agreement to start joint surveys in disputed waters beyond the mouth of Beibu Bay (Gulf of Tonkin) at an early date and a promise to jointly exploit the demarcated zones for their fisheries and oil and gas potential (Xinhua News Agency, October 25). The most contentious and difficult territorial issues in the relationship between China and Vietnam are beyond the mouth of Beibu Bay. These disputes revolve around rival claims to sovereignty over the Paracel Islands, in the northern part of the South China Sea, and the Spratly Islands, an archipelago of dozens of widely scattered atolls and coral outcrops in the middle of the South China Sea. The Paracels were seized by China from South Vietnamese forces in 1974 in the closing stages of the Vietnam War, when Hanoi and Beijing were supposed to be allies. Chinese forces have since reinforced their garrison on the Paracels and built a military airbase there, strengthening their grip on what is seen in Beijing as a strategic outpost southeast of Hainan and roughly mid-way between Vietnam and the Philippines. The Spratlys lie to the east of busy international sea lanes in the South China Sea that connect the Straits of Malacca and Singapore in Southeast Asia with China, Japan, and South Korea, the main oil-importing industrial economies in Northeast Asia. Control of the Spratlys might be used not just to establish naval patrol and surveillance bases but also to bolster claims to fisheries and offshore oil and gas resources in a vast area of the South China Sea. China, Taiwan and Vietnam claim all of the Spratlys, surrounding waters and any resources they may contain. However, China’s claim is far wider, encompassing almost all of the South China Sea, although the precise limits are not clear from the broken line drawn on official Chinese maps. Taiwan maintains a similar claim. Malaysia, the Philippines and Brunei assert sovereignty over some of the Spratly islands as well as offshore zones and resources closest to their shores. There have been several armed clashes and numerous standoffs among contending claimants over the past two decades. The main encounters have embroiled China and Vietnam. In 1988, they fought a brief naval battle near one of the Spratly reefs. In the Spratlys, the armed garrisons that all the claimants (except Brunei) have stationed on the tiny dots of land they say are theirs are still in place and, in some cases, have been reinforced. A code of conduct for the South China Sea, signed by Beijing and ASEAN (the Association of South East Asian Nations) in 2002, is voluntary. 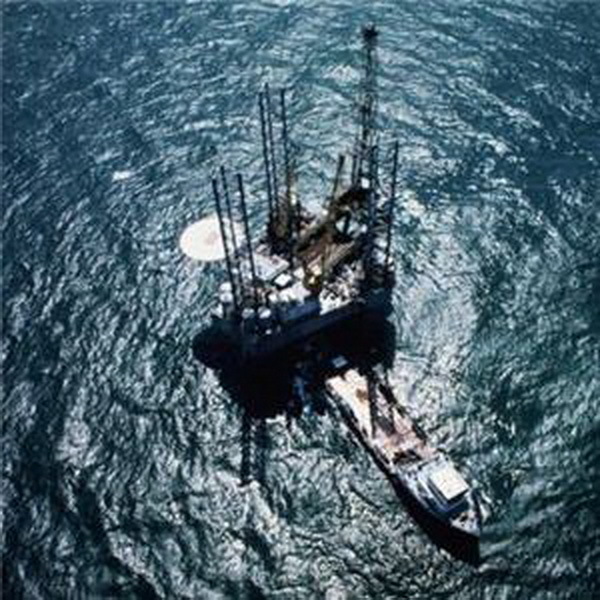 A joint seismic survey of hydrocarbon resources, agreed in 2005 by the national oil companies of China, Vietnam, and the Philippines, lapsed last July and may not be renewed. Even when it was operational, the tripartite seismic survey did not include the other three Spratly Island claimants. Moreover, it covered only a small part of the contested sea area. In their October 25 joint statement, China and Vietnam agreed to find a “fundamental and long-term” solution to the South China Sea issue that would be mutually acceptable. No detail was offered on how such a resolution might be reached. But, significantly, they said it would be in accordance with the 1982 United Nations Convention on the Law of the Sea (UNCLOS). Meanwhile, they would observe the code of conduct and refrain from any action that would complicate or escalate disputes. They would also consult on finding a proper area and way for joint petroleum exploration. On the principle of starting with the easier steps, they agreed to collaborate on oceanic research, environmental protection, weather forecasting, and information exchanges between the two armed forces . A strategic cooperation pact between state-run China National Offshore Oil Corporation (CNOOC) and its Vietnamese counterpart, PetroVietnam, is also reported to have been signed during Mr Dung’s visit to China. Together, these accords would be important mutual-restraint and confidence-building measures, provided their terms are strictly and consistently observed by both sides—something that has not been a feature of past agreements between China and Vietnam on the South China Sea. However, several things may be different this time, apart from the desire to build bilateral economic ties to cushion both countries from global trouble. Beijing wants to defuse widespread concern in Asia over its growing military power and the fear that military muscle will be used to enforce territorial and maritime boundary claims that China has with many of its neighbors, stretching from Japan through Southeast Asia to India. In this context, the South China Sea is a sensitive touchstone. In October 2008, not long before the Vietnamese prime minister arrived in Beijing, China banned its fishing fleet, one of the biggest in the world, from operating in waters contested with neighboring countries. Fishing disputes in recent years have not only pitted China against Vietnam. They have also become an irritant in relations with North and South Korea, Japan, the Philippines and Indonesia. In the South China Sea, Chinese fishermen have been detained by the Philippines, allegedly for illegal fishing in waters claimed by Manila close to the Spratly Islands. Similar incidents have been reported in Vietnam. China’s cabinet, the State Council, issued a directive for the coast guard and fishery authorities to stop Chinese fishing vessels from entering “key sensitive maritime areas” . Another new factor is the recent steep fall in the price of oil and natural gas, which has removed some of the incentive for petroleum companies to explore in ever deeper waters, further and further from shore in the South China Sea. In general, deep-sea drilling is prohibitively expensive. But when the oil price surged past $100 a barrel for the first time at the start of this year and reached $145 a barrel in July, the expense seemed fully warranted. Around that time, China told the US-based oil giant ExxonMobil to cancel planned oil exploration ventures off the coast of Vietnam with PetroVietnam, implying that if it did not do so it could be barred from operating in China. A Chinese foreign ministry spokesman said China opposed any act “violating China’s territorial sovereignty, sovereignty rights or administrative rights in the South China Sea” . Following a similar warning from Beijing, BP last year halted plans to carry out exploration work with PetroVietnam off southern Vietnam, citing territorial tensions. This was also in an exploration block approved by Vietnam but contested by China, about 370 kilometers offshore and at the outer edge of Vietnam’s Exclusive Economic Zone between Vietnam and the Spratly Islands. With the oil price falling to $60 a barrel at one point in October as slowing global growth crimped demand, the race for offshore hydrocarbon resources in the South China Sea had lost some of its impetus. This has provided a political respite, allowing China and Vietnam to come forward with more conciliatory measures. What could upset the fragile equilibrium in the South China Sea and resurrect emotive issues of national sovereignty, prestige and pride? The biggest risk is that economic recovery, rapid growth and a resurgence of strong demand for energy in Asia will again push China and its Southeast Asian neighbors into contention. China’s oil and gas production has been failing to keep pace with surging consumption, and it is worried that existing reserves will not last much longer. These concerns are shared by other petroleum producers in the South China Sea, among them Vietnam, Malaysia, and Indonesia. They are currently net exporters of oil or gas or both, but can see the time approaching when their energy reserves will be insufficient to meet domestic demand. They want to extend the life of their reserves by finding more oil and gas. As in China, this is an economic growth imperative as well as an energy security imperative because oil and gas are vital for transport and industry. Meanwhile, the Philippines, a net importer of both oil and gas, urgently needs to find more fossil fuel and regards its offshore zones in the South China Sea as a key to greater self-sufficiency in future . For the Chinese government, energy policy has become an arm of foreign policy. From being a net exporter of oil in 1993, China today relies on foreign supplies for about half the oil it uses. It is also becoming a major gas importer. For reasons of energy security, China has placed a high priority on getting as much of its future oil and gas as it can from within its land territory, from offshore zones, or as close to home as possible, including Russia and Central Asia. At present, around 75 percent of China’s oil imports come from politically volatile areas of the Middle East and Africa . They have to be shipped to China through distant sea-lanes, which the Chinese armed forces do not yet have the means to protect. These maritime arteries of energy supply could be cut in a crisis. Meanwhile, China, the world’s second-largest energy consumer after the US, wants to increase its gas consumption to reduce heavy reliance on coal, which causes serious air pollution. Southeast Asian countries are also turning to cleaner-burning gas in a big way to generate electricity, and provide for industrial and home use. Natural gas use among Asian countries is forecast to rise by about 4.5 percent annually on average until 2025—faster than any other fuel—with almost half of the increase coming from China. If this growth rate is maintained, Asian demand will exceed 21 trillion cubic feet, nearly triple current consumption, by 2025. The South China Sea is considered to have greater gas than oil potential. Most of the hydrocarbon fields explored in the South China Sea areas of Brunei, Indonesia, Malaysia, the Philippines, and Vietnam, as well as China, contain gas, not oil. Estimates by the US Geological Survey indicate that between 60 and 70 percent of the region’s hydrocarbon resources are gas. Even so, a significant proportion of the more than six million barrels of oil per day produced by China and Southeast Asian countries comes from the South China Sea region. A bigger proportion of the region’s gas output of over eight billion cubic feet per day comes from the South China Sea basin, although no precise figures are available. Chinese estimates of the overall oil and gas potential of the South China Sea tend to be much higher than those of non-Chinese analysts . The most bullish of the Chinese estimates suggest potential oil resources as high as 213 billion barrels of oil, nearly fourteen times China’s proven oil reserves of 15.5 billion barrels at the end of 2007. For gas, the potential production level is put by the most optimistic Chinese estimates at over 2,000 trillion cubic feet, although only about half of this might be recoverable, even if fields on this scale were found. China’s proven gas reserves at the end of 2007 were 67 trillion cubic feet . China’s emergence as an increasingly large gas consumer and the emphasis it puts on getting as much of its future oil and gas from as close to home as possible may help explain why China rates the energy potential of the South China Sea so highly. Such estimates buttress its sweeping claims to sovereignty in the area. Of course, these estimates have yet to be tested. Much of the area, particularly in deep waters, is unexplored because it is remote and contested. However, China seems intent on expanding its offshore energy search. Until a few years ago, the state-owned Chinese energy giants were discouraged from competing and CNOOC, China’s third-largest oil and gas producer, had a virtual monopoly on offshore work. This has changed and now all of the Chinese oil and gas majors can bid for onshore and offshore projects, both local and foreign. Since early 2007, both CNOOC and China’s biggest oil producer, China National Petroleum Corporation, have been looking to the South China Sea to supplement declining onshore production. Both have been building deep-water drilling platforms. As Southeast Asian governments and the energy companies working for them push deeper into the South China Sea in their hunt for more gas and oil, they can only hope that China’s southward push will lead to better cooperation, not confrontation. China has handed out exploration contracts or production licenses over most of its deepwater oil and gas blocks in the South China Sea south of Hong Kong. These are contested only by Taiwan. However, future Chinese permits seem set to overlap with those from its Southeast Asian neighbors (Reuters, November 2, 2007). Unlike in the 1980s or 1990s, China may now have the military power to enforce its territorial claims against rivals in the region, should it decide to do so. But at what cost to its international reputation, to stability in the maritime heart of Southeast Asia and to its relations with ASEAN? 1. China-Vietnam Joint Statement, 25 October 2008. 4. Asia’s Energy Future, East-West Center, 2007, page 126. 5. World Energy Outlook 2007, International Energy Agency, page 325. 6. US Energy Information Administration, Country Analysis Briefs, South China Sea, March 2008, page 4 & 6. 7. BP Statistical Review of World Energy, June 2008, pages 6 & 23. Michael Richardson, a former Asia Editor of the International Herald Tribune, is a Visiting Senior Research Fellow at the Institute of Southeast Asian Studies. His current research focuses on maritime, energy and sealane security.